Experience: Before joining Yellow Submarine in 2013, Lisa gained a Fine Art degree, alongside supporting people with disabilities and/or learning difficulties. She has 8 years experience designing and facilitating both community arts and employability programmes with a wide range of vulnerable groups. Roles within the charity: Lisa is a manager within our Enterprise and Coaching team, responsible for delivering sheltered work experience for adults. 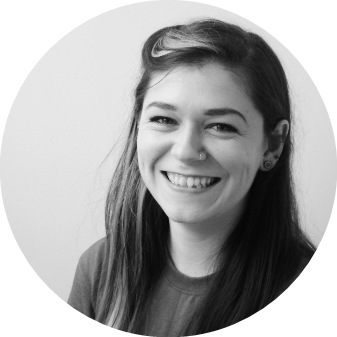 She oversees ‘Compass Project’ and ASDAN qualifications, as well as helping out with a variety of creative projects around the charity. Favourite Yellow Submarine memory: seeing the very first bottle of apple juice, hand pressed by the Compass Project, sold in our cafe. Eating in or eating out? : I like to try new places to eat with friends when I can but really love to cook and try new recipes!